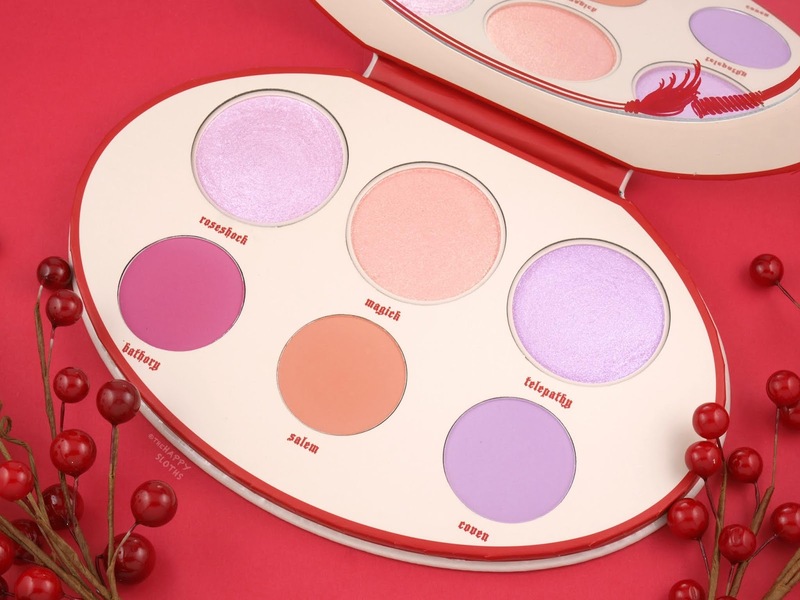 Housed in a light pink oval palette made of cardboard, the Fetish Blush & Highlighter Palette features a large mirror and an intricately designed lid. With the word "fetish" embroidered in a light pink thread and the letter "i" represented by a whip, the design fits very well with the theme of the palette. I personally would have preferred a plastic or metal palette but the overall packaging is very unique and well-made. Included in the palette are three Metal Crush Extreme Highlighters and three blushes in the not yet released Everlasting Blush formulation. Starting with the highlighters, you have "Roseshock", an icy pink, "Magick", a pale orange, and "Telepathy", a soft lavender. For those unfamiliar with the formulation, the Metal Crush Extreme Highlighters are an ultra sparkly highlighter. None of the shades have a pigment base so they are basically packed to the brim with glitters and shimmers. The texture is super smooth and almost cream-like and the highlighting effect is very sparkly, not intended for those looking for a more subtle, sophisticated look. If you are interested in a more in-depth review of the Metal Crush Extreme formulation, check out my separate blog post here. Now onto the Everlasting Blushes. "Bathory" is a bright hot pink with a matte finish. The formulation is super silky and pigmented; a little goes a long, long way so make sure to apply sparingly with a light hand. "Salem" is a soft popsicle orange matte. This shade is not as intensely pigmented as the pink but it's still very nice and even. Finally, "Coven" is a pale matte lavender pink. This shade is surprisingly sheer. To get the swatches you see above, I had to swipe on several layers for it to even show up. There are no issues with the texture but the pigmentation is seriously lacking. 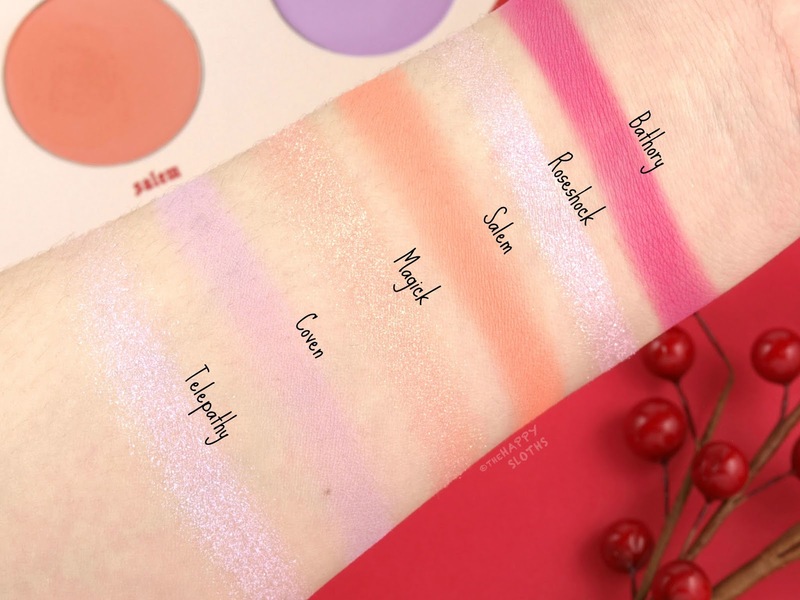 Overall, the Everlasting Blushes are decently formulated but there seems to be quite a bit of variation in terms pigmentation. 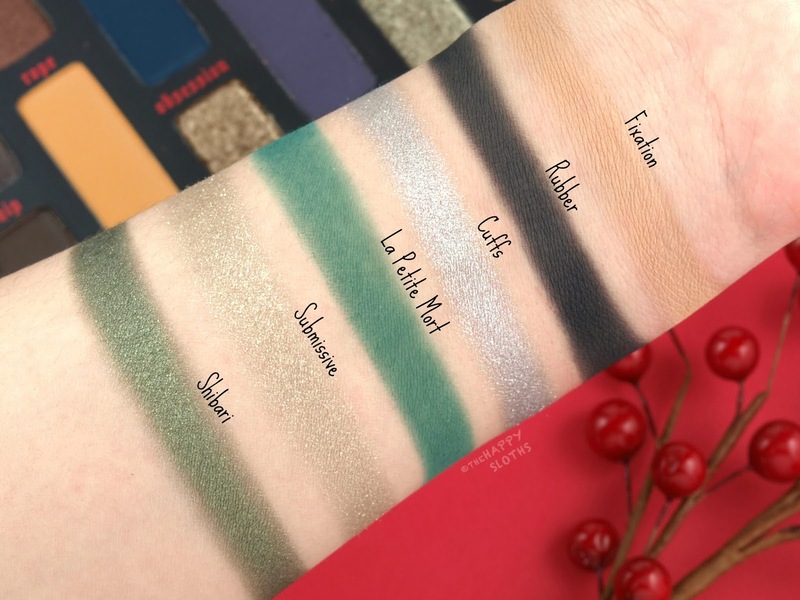 Because the range is not officially released, I hope Kat Von D tweaks things a bit more before its launch. 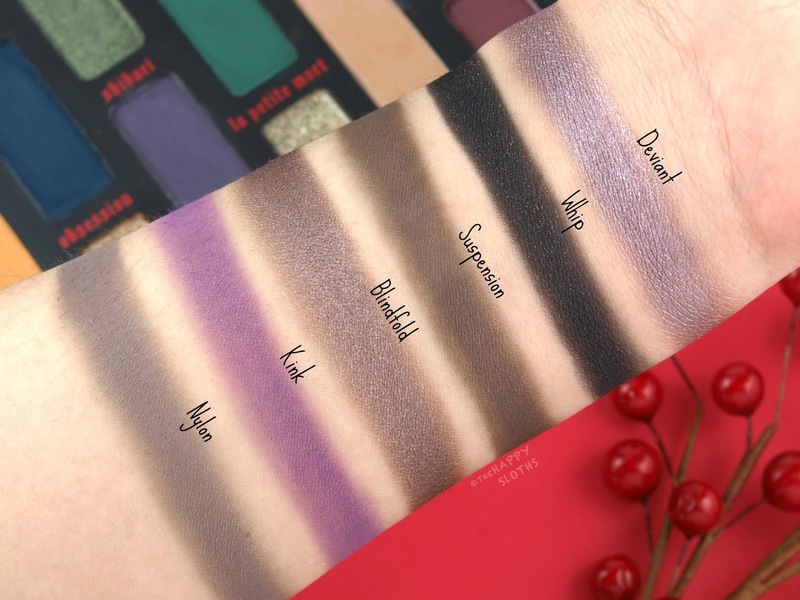 Packaged in a larger version of the Fetish Blush + Highlighter Palette, the Fetish Eyeshadow Palette features the same intricate embroidery design (except in black) and contains 24 eyeshadow shades. All the colors have a fetish-themed name and the overall color scheme is fairly muted. You get a handful of intense, high-shine metallics but most of the shades are matte. In terms of formulation, the metallics are definitely the winners here. Rich, smooth, and packed to the brim with shimmer particles, they are just stunning! A few of them (namely "Cuffs", "Submissive", and "Chastity") are a little fallout-prone but it's something I am willing to overlook given how beautiful they are. 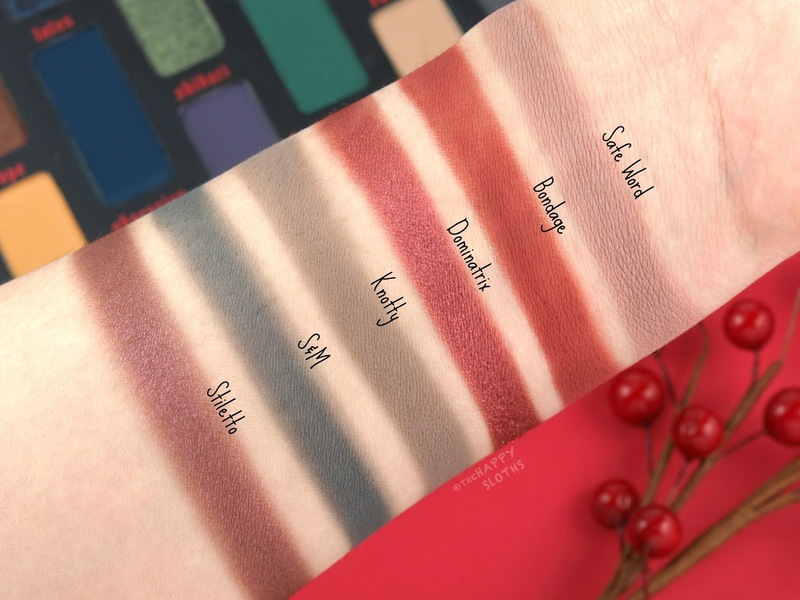 The majority of the matte shades, on the other hand, are silky, even, and nicely pigmented. They are a bit dusty and fall-out prone but I'm willing to put up with a looser, powdery formulation that doesn't go hard-pan within just a few swatches. With that said, a few of the mattes (ex. La Petite Mort, Corset, Obsession, Suspension, Kink) do apply a bit patchy and uneven so there is definitely some variation with the formulation. 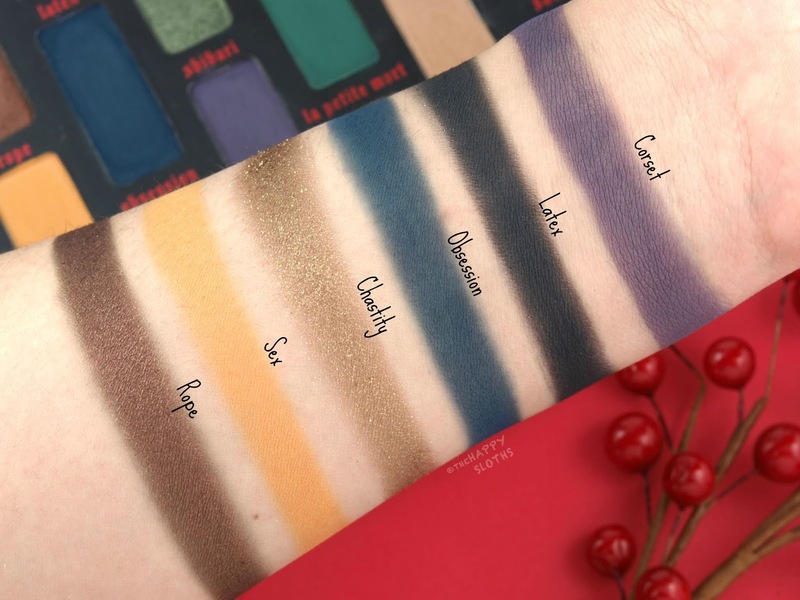 Overall, I am not in love with this palette and I think it's mostly due to the color selection. There are way too many mattes in addition to an unnecessary number of duplicates. With that said, if you are a fan of muted grays, taupes, and mauves, then this palette is potentially worth checking out in person. 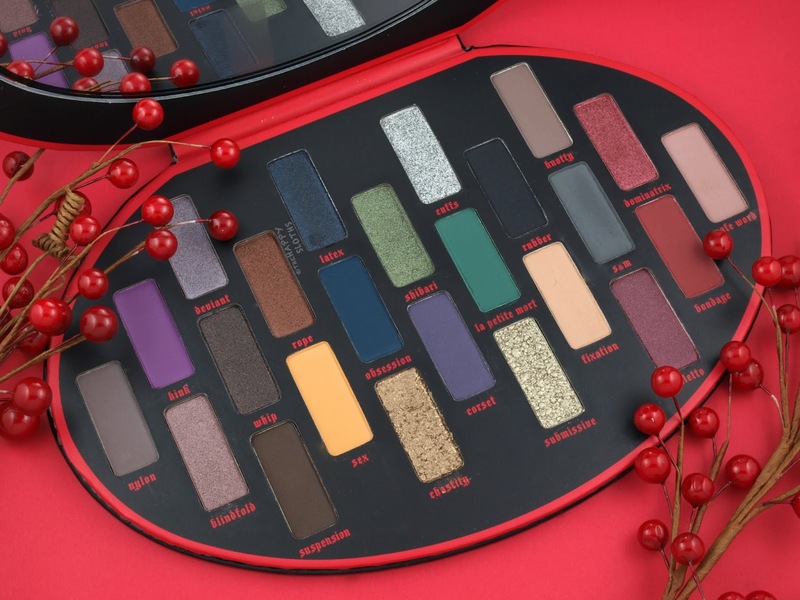 Have you spotted the Kat Von D holiday offerings in stores? Do you plan on picking up any of the pieces? Share with me in the comments below!